SHELF AND MIRROR. The mirror unit incorporates a recharging socket which is operated by a rocker switch and a single integrated glass storage shelf made from robust 6mm thick glass. The infrared no-touch on/off switch which operates the lighting and heated demister pad is located on the right hand side of the mirror near the bottom. 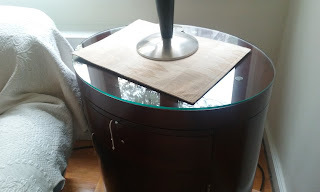 In Giovani Glass we make Backlit Shelf and Mirror with different styles and sizes at the lowest cost. The mirror unit incorporates a recharging socket which is operated by a rocker switch and a single integrated glass storage shelf made from robust 6mm thick glass. The infrared no-touch on/off switch which operates the lighting and heated demister pad is located on the right hand side of the mirror near the bottom. 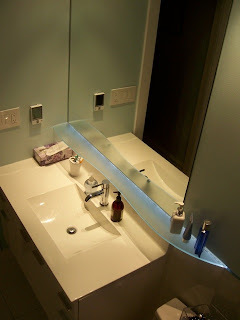 In Giovani Glass we make Backlit Shelf and Mirror with different styles and sizes at the lowest cost.